A “Mini-Bentall” procedure is an aortic root replacement with re-implantation of coronary buttons, performed via a minimally invasive approach. Professor Yan specializes in performing aortic procedures via a 5-7 cm incision, instead of the traditional 20-25-30 cm midline incision (Figure 1). This surgical video describes the details of Professor Yan's techniques, the "French Cuff" technique to demonstrate how to perform a Mini-Bentall Procedure with absolute hemostasis. This patient had a 5.5 cm aortic root aneurysm. There was no blood transfusion and the patient was extubated on the table in the operating theatre, 20 minutes after the surgery. He was discharged home 5 days after the procedure without any complications. Video 1. The Mini-Bentall procedure "French Cuff Technique". 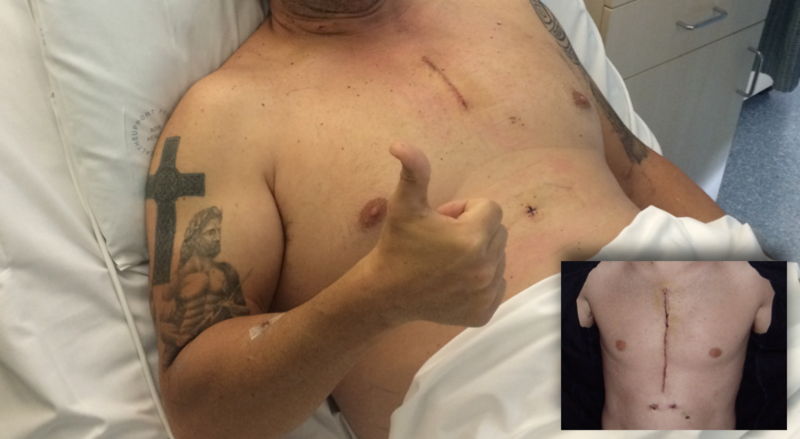 The patient was extubated on the table in the operating theatre 20 minutes after surgery. 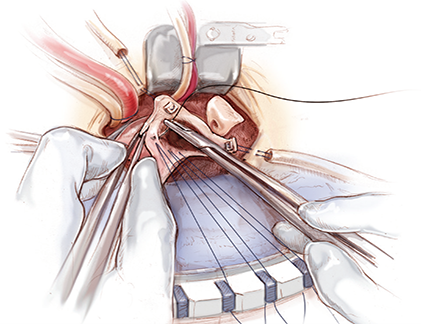 Attention to detail is the key to ensure an absolute hemostasis and achieve the best surgical outcome from a minimally invasive aortic surgery.